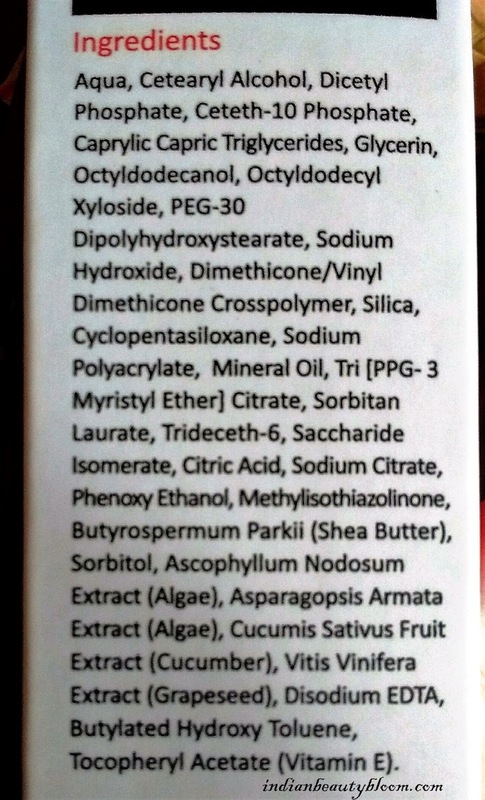 Today I am going to review it’s Under Eye Cream . 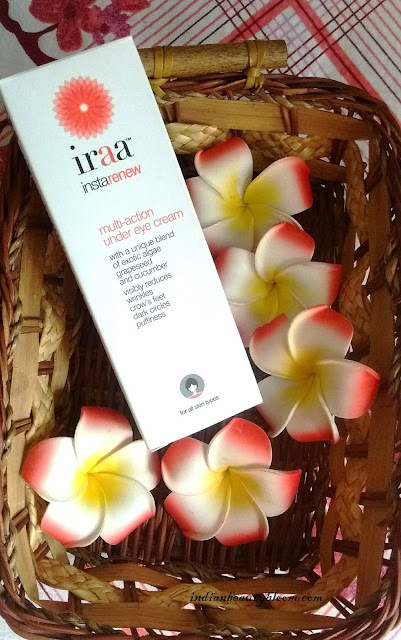 This Eye Cream is a fast absorbing , fragrance free cream which helps to remove wrinkles,dark circles and puffiness around eyes and gives a renewed youthful look . With goodness of Cucumber & GrapeSeed it brightens & refreshes the eye area . The product comes in a tube and the outer pack is a cardboard pack with all product details and information given on it . The tube is a sleek one with a silver cap on it . Product packaging is excellent as one can easily squeeze out little amount of cream and thus there is no wastage of product . 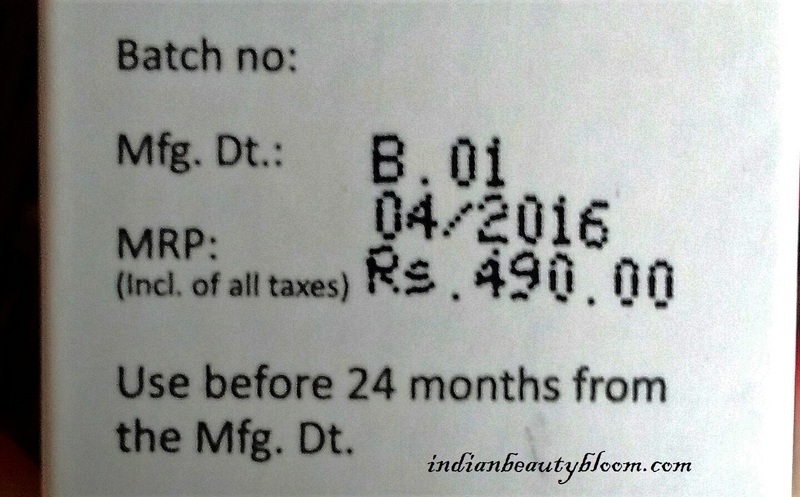 The product claims to reduce dark circles , wrinkles , crow’s feet , puffiness . One needs to dab small dots around eye area ( Under eyes , Outer Corners , eyelids ) and smooth it until absorbed . Use morning & night for better results . 1. Contains Shea Butter , Cucumber Extract , Vitamin E , Grapeseed all of which are good for skin . 2. 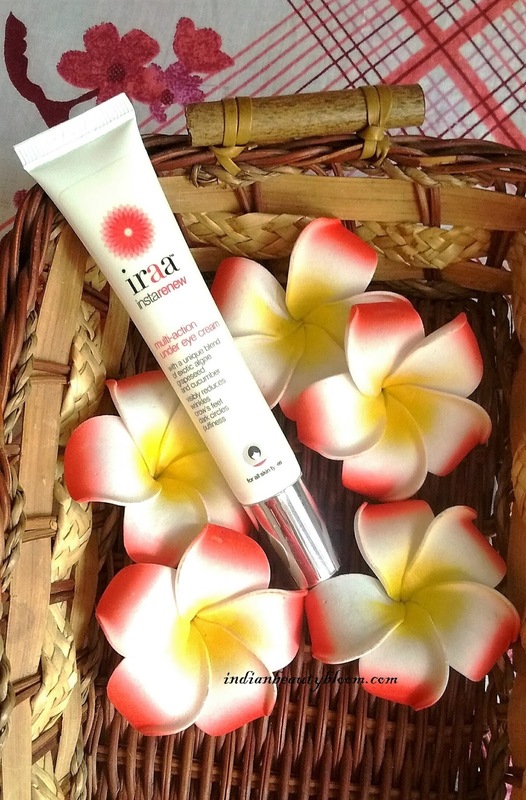 Clinically Tested and Dermatologically approved product . 3. Cucumber has anti oxidant and anti inflammatory properties . 4. 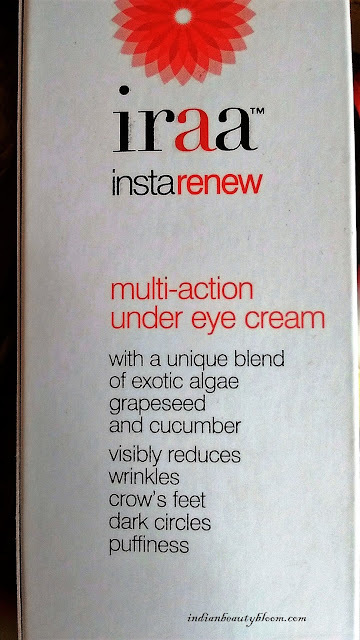 This Eye cream also contains an exotic algae sourced from France which helps to reduce sign of ageing & dark circles . 7. Helps to reduce dark circles to a great extent . 2. Not a chemical free product , contains alcohol . 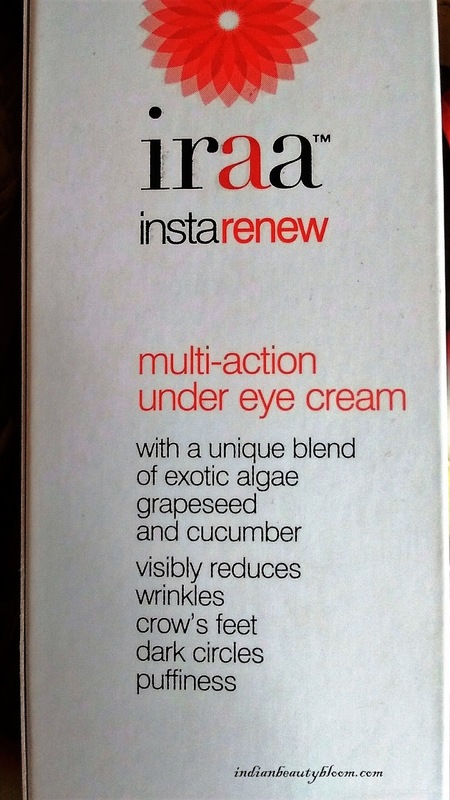 I am using this eye cream past few days and it’s good . One needs juts a small amount of it to cover the under eye area , so a single pack can last long . 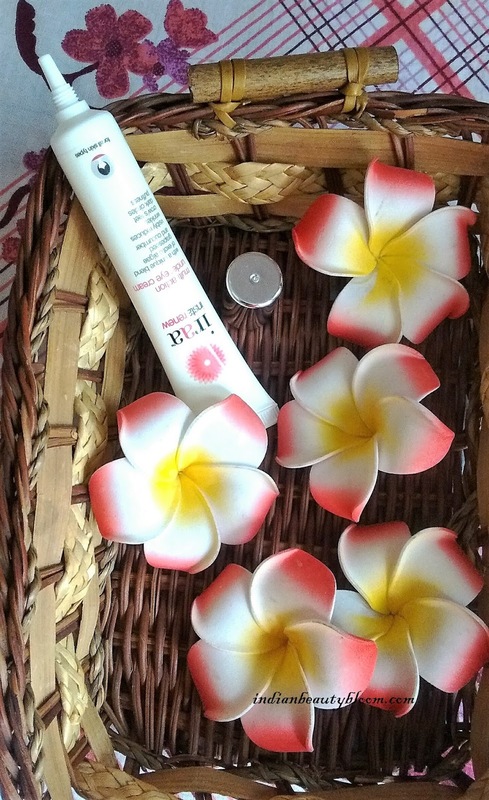 The cream is white in color with a no fragrance and it gets absorbed in skin easily . 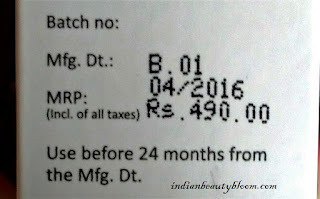 After using it for some time I can say it has reduced my dark circles to some extent .